She entered the public eye in July 2014 when her father, Eric Garner, died after being put in a chokehold by a New York City police officer. Eric Garner was seen on video saying, "I can't breathe" 11 times before he died. 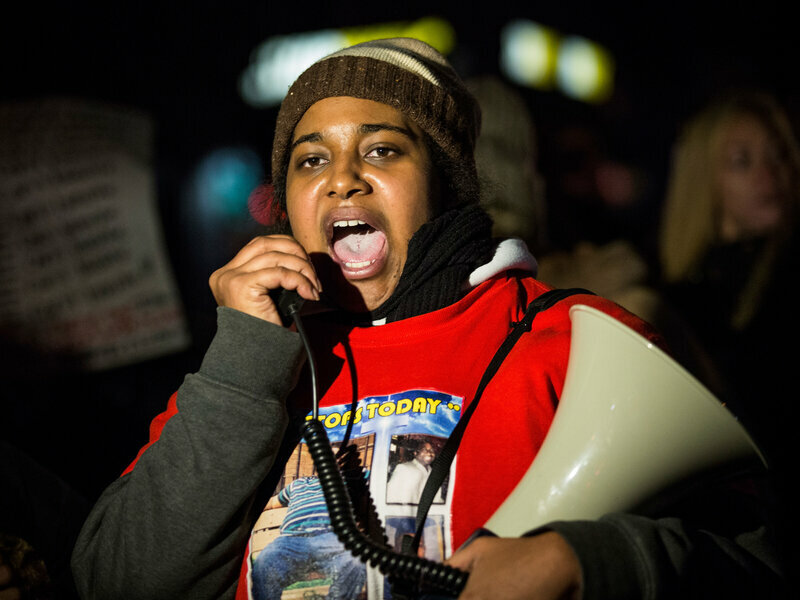 Erica Garner had been in a coma since Dec. 23, when she had an asthma attack that triggered a heart attack,according to the New York Daily News. "When her son was born in August, she named her newborn after her father," the newspaper reports. "Garner suffered her first heart attack shortly after the delivery, with doctors saying the pregnancy stressed her already enlarged heart." Erica Garner became a prominent figure calling for an end to police brutality, as her father's last words became a rallying cry for the Black Lives Matter movement. She began staging weekly ''die-ins'' on the sidewalk in front of a beauty supply store in Staten Island, the site where the New York City police officer put her father in the fatal chokehold.A grand jury did not indict any officers in Eric Garner's death, sparking more protests across the country. The coroner's report lists his death as a homicide, but no officer has ever been charged in the case. In 2015, the city of New York settled with his family for $5.9 million. In 2016, Erica Garner endorsed Bernie Sanders for president and was the focus of a video ad for the candidate. She told NPR's Rachel Martin that she supported the Vermont senator because of his record of standing with black people. "He's been, basically, a protester his whole career," she said. "He's not scared to go up against the systematic racism that exists in America today." "I'm just trying to get the truth out there to tell his side of the story," she said of her late father. "He was being a loving, caring man that he was, and he was murdered. For a whole year, I've protested every Tuesday and Thursday. I feel like a representative for people throughout this whole nation because I'm doing this, I'm speaking out, me being his daughter. And that's what I want to do, I just want to tell my truths." "I'm never giving up," she said. "I'm never going to forget. And I don't want the world to forget what happened to my dad."